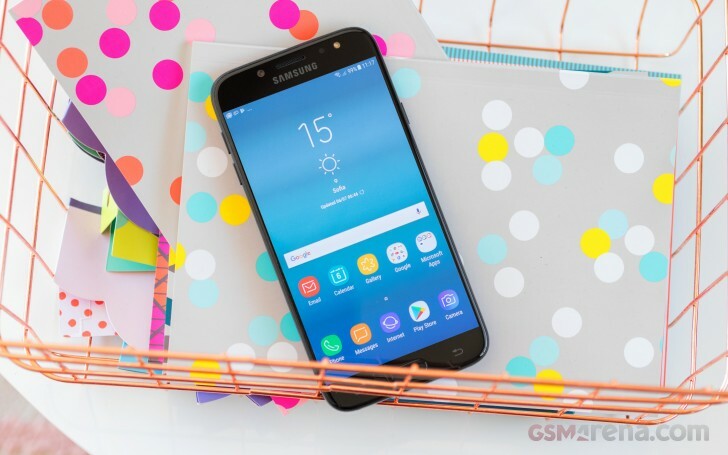 The Galaxy J7 (2017) is the latest annual edition of an already popular phone. The J series has already shaped up as a home to some solid midrange propositions, and the Galaxy J7 (2017) is meant to spice things up even further. The newcomer is blurring the lines between the J series and the A series- just as we thought we had Samsung's portfolio segmentation all figured out. The J phones have been enjoying a killer key-selling feature, and that's Samsung's Super AMOLED screens. The Galaxy J7 (2017) is no different; this time around it's a high-tier screen with 1080p resolution, but Samsung didn't stop the upgrades there. The new model builds on the 2016 model with a premium-looking unibody a high-res selfie camera with a flash, more RAM, and a newer Android. The Exynos 7870 chip was the only part which was passed up for promotion, still stuck in 2016. It's still a nicely power-efficient 14nm chipset, so it should surely provide great battery life. Either Samsung built a great chip ahead of its time, or they just felt confident that the rest of the value-adding upgrades would make up for this omission. And with these attractive specs, we are not sure we can blame them. OS: Android 7.0 Nougat; Bixby virtual assistant. Having an old-gen chipset takes its toll - the Galaxy J7 (2017) lacks 4K video capture, for starters. But our major concern is with the graphic performance, as the processing power hasn't increased, yet the J7 must handle twice as many pixels. But then again there are so many improvements which will probably make the old chipset easier to swallow. And while we are wondering whether the Galaxy J7 (2017) can deliver adequate performance or not, it's time we get this review started and find out what's hot and what's not.